Maybe you've visited Uwajimaya. Or you might have seen a lion dance. 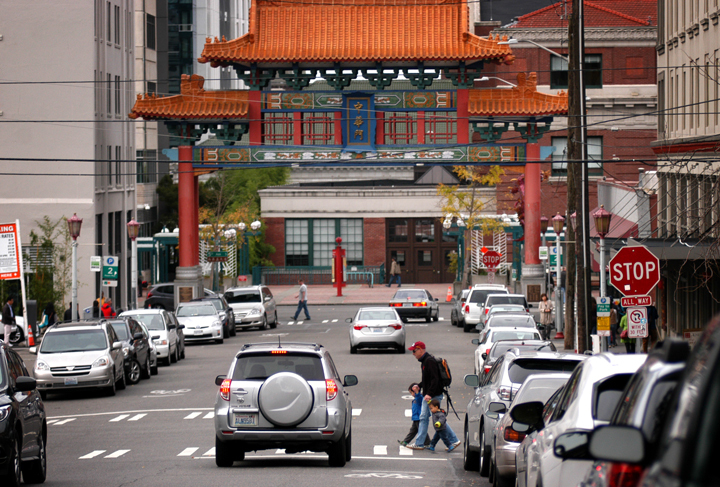 But to find the real treasures of Seattle's International District, follow a Chinese mom. I've spent the past decade eating my way through the ID, half of that with a babe in tow. Let's chat about fun play areas for kids, free parking spots, the cleanest public bathrooms and of course, the best cheap eats. Jade Garden is the Holy Grail of Seattle dim sum, but I can't, ahem, stomach the crowd with hungry children. Duk Li was our favorite secret hole-in-the-wall. 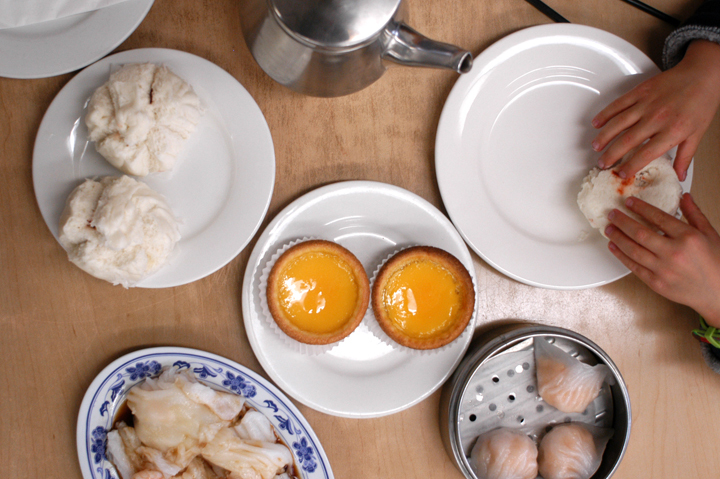 Word trickled out, business boomed and the dim sum restaurant expanded seven years ago into the space next door. Same brusque service, same 70-cent steamed BBQ pork buns. On our last visit, we sat next to a big group of students who happily complained about how stuffed they were. When it came time to split the bill, one of the girls whipped out her phone and divided the total: $5.30 apiece. You don't have to speak a word of Vietnamese to order at Seattle Deli — it's easy because everything's wrapped up and laying on the counter. All you have to do is point, and you can never go wrong because everything there is delicious. Here are some of my favorites: banh mi cha (sandwich with cold cuts, $3.75), bot chien (omelette with rice flour cakes, $3.75), fresh spring rolls ($3.25), banh bo (colorful rice sponge cakes, $2.50), banh cuon (wide noodles, $3.50) and flan ($2.25). Note: Seattle Deli is cash only. There is an ATM but there is a $2 fee. Duk Li and Seattle Deli are good grab-and-go places. If you have the stamina for a more leisurely meal, try Maneki for Japanese, Green Leaf for Vietnamese and Henry's Taiwan for, well, Taiwanese. The rule of thumb if you are looking for a new lunch spot is to peek in at a mealtime. Is the restaurant full? Is it full of older Asian women? That's how you know the food is very good and very cheap. 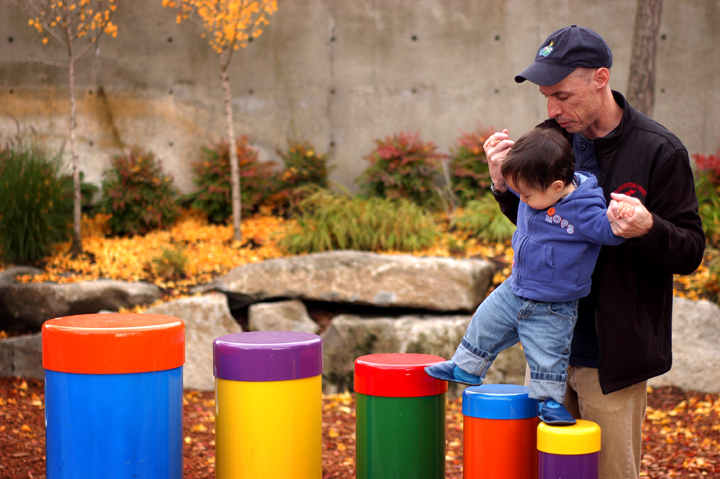 The Donnie Chin International Children's Park is a gem of a playground. Renovated in 2012, it includes a bronze dragon and other sculptures kids can climb, and a big play structure too. The cherry trees at that park bloom in February, well before any other tree in town, so it's a nice place to visit when you are eager for spring. 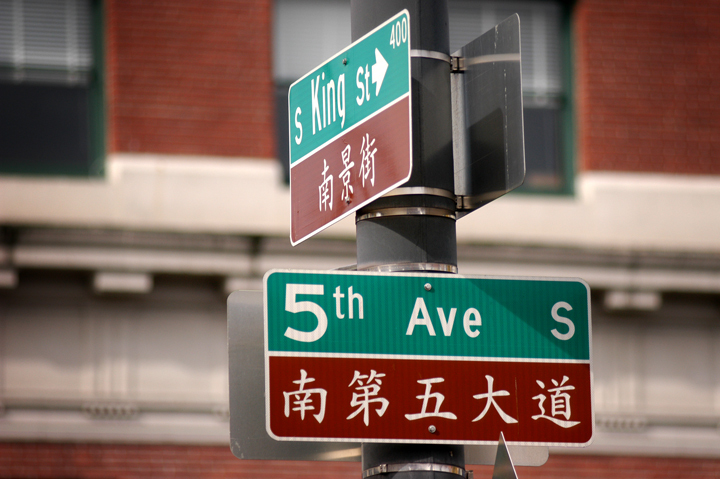 Just around the corner is the International District branch of the Seattle Public Library. We love its welcoming children's area, roomy and clean bathrooms and the fantastic Mandarin story time on most Saturday afternoons. On the first Thursday of the month, pair story time with free admission and a family activity at the Wing Luke Museum. Check the museum's calendar for programming details. 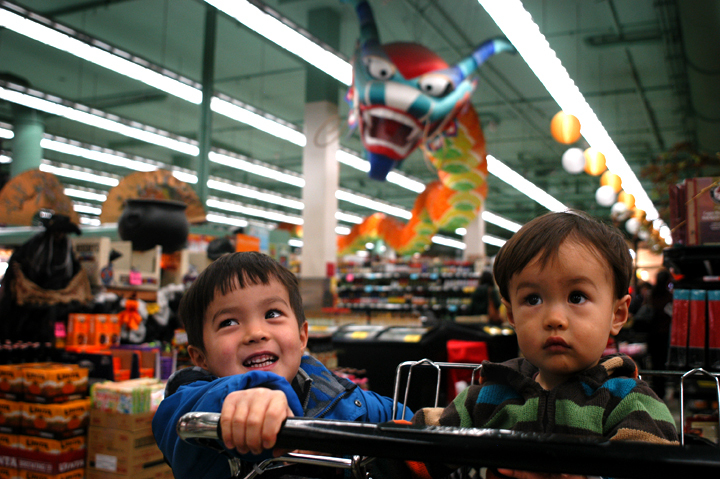 All the Seattle guides direct you to Uwajimaya, but Uwajimaya is the Whole Foods of Asian grocery stores. Real Asian people shop there only when they don't have time to drive out to the 'burbs. But Uwajimaya is handy for the decent restrooms in its food court, and for validating two hours of parking with a $20 purchase or one hour of parking with a $10 purchase. Directly across the street from Uwajimaya is Daiso, a Japanese chain where almost everything is $1.50. It won't set you back too much to let your kids pick out a tchotchke or two. Think stationery supplies, little ceramic bowls, household items decorated with funny faces to make life that much cuter. I like to buy kitchen sponges at Daiso, of all things, because they come in a 10-pack for $1.50. The ID isn't just the place you go for Lunar New Year. It's where you go any time you don't feel like cooking. Kids are expected and welcome everywhere, and prices are family budget-friendly. A note about safety: I only go during the day, and I avoid walking near King Street Station or under I-5. But really, use your common sense. 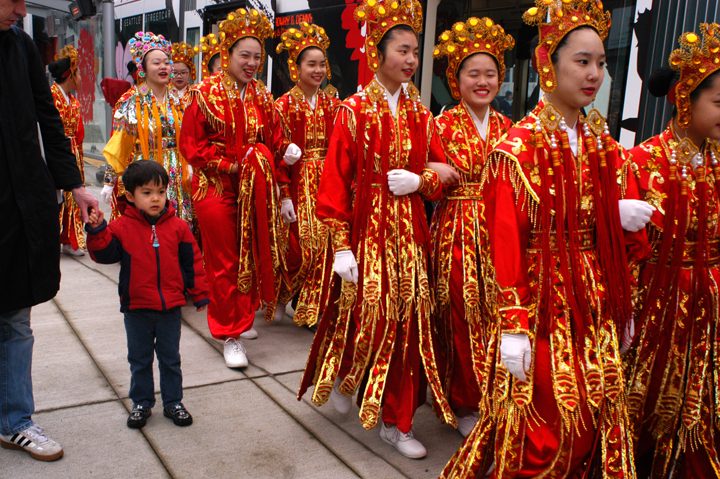 Most places, you will only encounter grandparents and kids and plenty of culture condensed within a few city blocks.